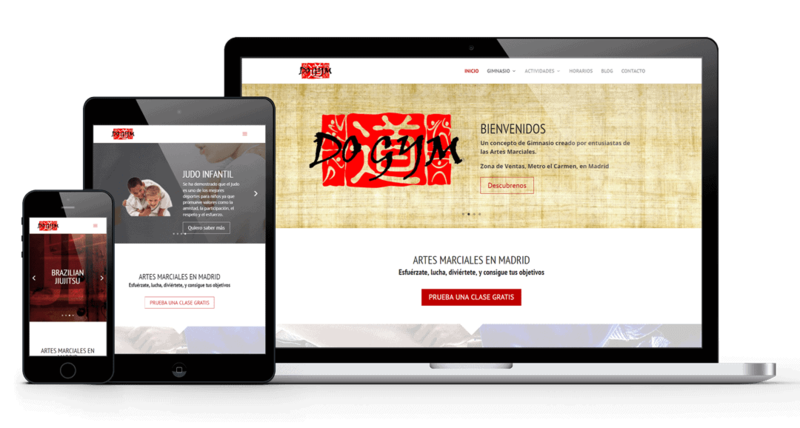 DOGYM is a Martial Arts School that is trying to expand the business investing online. There is a need of a modern website and to create a marketing strategie to schedule campaigns for the different activities. I made a complete Website design, with a modern appearance and trying to convey the values of the gym, given that it is focused on martial arts. The conversion in the website is the achievement of potential clients, and the design is totally oriented to this objective, with easily visible calls to action. With regard to marketing, we are working on Facebook campaigns and Content strategy. The improvement of social profiles and presence in networks has also been carried out.